What (and Who) can be healed? Booking a consultation with one of our Rose Method practitioners is the fastest and most effective way to make permanent changes in your life. The key word is “permanent.” We aren’t interested in short-term euphoria effects that are common with other therapies and healing techniques. We are only interested in permanent transformation according to the results you want to achieve. The results can best be explained with this diagram. Note the two significant differences between the red and blue lines. With the Rose Method, you will not experience the short term euphoria effect that is considered “normal” after a healing session. (Actually this euphoria isn’t normally or healthy at all, it’s a misleading short term high.) The results of our process are very quickly integrated and almost instantly become your new normal state. The results are permanent. The only reason that you would lose the results of the session is if something new happens in the future – we cannot guarantee that you will never have some future trauma, but we do our best to minimise that risk. We don’t claim that we can fix everything. We are specialists. We will listen to your situation and give an honest and realistic opinion about where we can help and what results you should expect. Please read the next tab for more information on what we can and cannot treat. Rose Method is a methodology for permanently changing your emotional state. This means that any aspect of your life which relates to (or is caused by) your emotional state can be easily changed. And since almost every aspect of your life is controlled by your emotional state…. we can transform almost every part of your life with RPT. There are limitations to what we can achieve, which are discussed here. clearing self-sabotage patterns (addiction, career sabotage, procrastination, etc). We offer peak-performance coaching for athletes, business people and anyone who wants to overcome limitations and excel in their field. Many physical symptoms are emotional in origin or have emotional blocks (e.g. secondary gains). We specialize in finding and healing the emotions that relate to your symptom. If you’re looking for a hidden emotional cause of your problems, we will find it. We have especially good results with muscular-skeletal issues, heart and circulatory issues and skin issues (these are all very strongly linked to emotions). We have had good results (but not a 100% success rate) helping people with “incurable” viruses such as herpes, cancer, improving eyesight, auto-immune diseases and many other problems. These are emotional in nature, but depending on the severity of the symptoms, we aren’t always able to help. It’s also very important to note that Rose Method is a complementary treatment and we will always work together with your medical specialists. Many of our clients find that after using our process to remove self-sabotage (or secondary gains), their conventional medical treatments start working for the first time. If you are seeking help with a physical problem, you should be aware that we will be working on your emotional state, especially emotions related to the problem. We cannot guarantee any physical change. Not all problems are caused by your emotions. We never claim to have a cure for any disease. Our process requires you to connect with your body and feel your feelings. We can provide coaching in how to do this, and would estimate that most people (over 90%) can do this. However there are people who simply cannot feel. If you know you can’t feel your feelings or suppress pain and negative emotions, you should mention this before booking a session. People who are taking anti-depressants often find it extremely difficult to feel their feelings. If you are taking anti-depressants you should discuss this with a therapist before booking a session. People with chronic long-term depression might benefit from a Rose Method process, however the results are not guaranteed. In these situations there are simply too many factors affecting the symptoms (family dynamics, relationship issues, nutritional issues, lack of exercise, etc.). Rose Method can help is not a replacement for long-term counseling with a psychotherapist in these cases. People with psychiatric conditions such as a personality disorder or borderline personality should not do a Rose Method process. Our processes were not designed to account for the unique needs of these clients. You’ve already chosen the world’s most effective technique for change. But how do you find the right therapist (or teacher) for you? Every practitioner is different in terms of their skills, experience, how fast they work, price per session, what type of symptoms they are most comfortable working with, and so on. You should choose the practitioner that feels right to you. You are welcome to contact several therapists and ask them questions about their relevant experience (with the problem you want to work on), and how confident they are about helping you. Cost may be a factor in choosing a therapist, but shouldn’t be the main factor. For example a very experienced therapist will charge more by the hour, but can get results much more quickly – often saving you money. If you click on a profile of a therapist or trainer, you will be able to read about their experience and see more information about their level of accreditation within RPT. On each person’s profile you will see a star rating (up to five stars). This is based on the level of training achieved. If the therapist is also a RPT trainer they will have a higher rating. A new graduate with limited experience will have a lower star rating. This doesn’t mean that they are a bad therapist, just new. Therapists gain experience by seeing clients and furthering their own education (such as becoming a RPT trainer). Trainers also gain experience by continuing their training. This experience is reflected in a higher star rating. Positive or negative feedback received by our office may affect the therapist or trainer’s rating. What is a Rose Method consultation? In a private consultation you and a qualified practitioner will work together to change your emotional state. At the start of the session you will nominate certain symptoms (physical, emotional or spiritual) that you want to change. You’ll specify the context in which you experience those symptoms (e.g. I get headaches at work), and you will work together to clear the benefits (secondary gains) of those symptoms and the causes of those symptoms. Where possible you will keep working until both you and the practitioner believe that all the symptoms have been resolved within the specified context. Almost all emotional and spiritual problems, and a very wide range of physical problems, can be resolved in a private consultation. To be very precise: Rose Method is a highly effect set of tools for permanently changing your emotional state in a specified context or environment. This means that any symptoms which are caused or triggered by trauma or by your emotional state can be resolved with Rose Method. Most (almost all) emotional and spiritual problems are caused by trauma and by different emotional states. They can be treated with the Rose Method. However certain mental illnesses, especially those caused by neurological problems (imbalances of brain chemistry) cannot be treated with the Rose Method. Many physical problems are psychosomatic or caused by emotional stress, trauma or conflict. These conditions improve rapidly after a Rose Method session. There is no fixed list of which conditions are or are not caused by emotional states because every person and every disease is different. However we can generalise that muscular-skeletal pain, headaches or migraines, over or under active immune system (including susceptibility to viruses) and even heart function and circulation have a very large emotional component. Please note that Rose Method is a complementary therapy – if you are seeing a doctor, we will work with your doctor to maximise the success of any conventional therapy by removing emotional blocks to your recovery. What are the limitations of a consultation? Rose Method can quickly and easily change your emotional state in a specified context. The “specified context” is important. For example, if you ask the therapist to resolve your issue of headaches when you go to work, the therapist will identify your emotional triggers at work and resolve them. You should never again have this problem. However, it is possible that you will have a headache again – somewhere else. For example your parents in law may suddenly visit and you develop a headache. This does not mean that the initial session was unsuccessful; it means that you have different triggers in different contexts. We recommend that if you have a problem that occurs in more than one environment, you list as many of these as possible to the therapist. Some clients cannot feel anything – they cannot name or describe their emotions or experience a change in emotional states. These clients usually find Rose Method difficult or frustrating. They can be helped, but it is a much slower process. Not all physical disease processes or injuries are caused by emotional states. However we find that most clients have a better outlook or better chance of recovery after an consultation. Should I learn the course or take a private session? If you are undecided about whether to learn Rose Method or experience a session, we generally recommend you to learn the course. On each course you will receive (and give) several processes and you can experience changes for yourself. It is empowering to learn the technique and to be able to quickly change your own emotional states. That said, if you are currently experiencing a serious illness or have significant blocks to learning or a significant emotional crises (such as going through a divorce), we strongly recommend that you choose a private session before doing a course. That is because the Rose Method course assume people have a generally stable emotional state (not perfect but stable enough to learn and help others). Some people do benefit much more from a private session than from the seminar as they are able to resolve their personal problems with an expert. After the session they are in a much better state from which to learn Rose Method and participate in the course. If you have a specific problem that you want to address with an expert, we recommend you choose the practitioner or trainer that you feel most guided to work with. On the seminars you will work with other students (trainee practitioners). There is no guarantee as to the quality of the outcome of individual sessions (we only guarantee the quality of the material which is taught). There are also some limitations on what type of symptoms you can work on in class (for example, physical symptoms aren’t covered on Level 1 and 2). Therefore it is often best to choose a private session with a leading therapist, either before or after learning the Rose Method. The average client has two sessions. Many people with clearly defined emotional problems have just one session. And many people with physical symptoms require three (or very rarely more than three sessions). After you’ve chosen a therapist, write to them in detail about your symptoms and ask them to estimate how many sessions are required. We ask you to make a commitment to complete the recommended number of sessions. For example, if the therapists says that 2-3 sessions will be required, please commit to this. Don’t quit the process after one session because you didn’t see results if you’ve been advised that it can take two or three sessions to see the full results. Our success rate is over 95% for people who complete the process. Some practitioners prefer short sessions focusing on just one symptom in one context. This can require 30-60 minutes depending on the client. Other practitioners (such as Simon, the founder of Rose Method) prefer to work on as much as possible in a session. This mean multiple symptoms in all contexts or environments that the client can think of. As a result the session can go for 2 – 2.5 hours. Are the sessions done in person or via Skype? Rose Method sessions can be done in person or via Skype (or telephone or other messaging app). Most therapists prefer to work via Skype but this does vary. Check with your preferred therapist where and how they work. When choosing a therapist remember that you don’t need to choose one in your city. Focus on their experience and whether you feel a good attraction or rapport with them. The process is the same regardless of whether the session is in person or via Skype. Can I use a translator? You can use a translator if you want to work with a therapist that does not speak your language. Or you can translate (or arrange a translator) for someone else who doesn’t speak our language. It is preferred if the translator has some prior knowledge of Rose Method (such as having received a session previously). If that isn’t possible, then the translator and practitioner should speak beforehand to discuss translation of some key terminology. Simon teaches extensively in Russia via translator and is very comfortable doing sessions via translator. How should I feel after the session? Rose Method sessions do not give a short-term euphoric state that is common for other techniques. We prefer a new stable permanent state rather than a short-term high. Are the results permanent? Are the results guaranteed? The results of the session will be permanent. That means that within the context that you worked on, the problem wont come back. It is possible to experience a similar problem in a different context (one that you didn’t work on) because different emotional triggers may exist in different contexts. In the very unlikely event that you feel a problem has come back in the same context, please contact your practitioner immediately. You will need to identify what was the emotional trigger (what happened just before the problem came back). In most cases the therapist will work with you at no further cost in order to ensure the results are permanent. Many of our practitioners will offer a guarantee of results. You should clarify this before the start of the session. There are some things that can’t be guaranteed (specific physical changes) and some things that should be guaranteed (precise emotional changes). Unless otherwise specified, a guarantee is not a money back guarantee. Rather, we will keep working with you to fix the problem which we agreed to fix. You may have a strong preference for a male or female therapist, or someone in your city rather than via Skype, or someone speaking your language rather than via translator. You can use the search features on the Therapist page to choose a therapist to your preferences. In the end the choice is intuitive – set the intention to choose the right therapist for you and choose the person you are drawn to. Write to that person and ask them what experience they have with your particular problem and how confident they are of success. Are there any side effects after a session? There are no side effects of a session with an experienced practitioner. The Rose Method does not cause a “healing crisis” – there is no reason why symptoms or feelings should get worse before they get better. In extremely cases, there can be a form of adverse reaction after a session. This occurs where a trauma was triggered during the session but not resolved. This usually occurs where the client suddenly remembers a trauma but doesn’t mention it to the therapist. During the 24 hours after the session the client may be thinking about this remembered trauma and feel worse. This problem can be easily prevented – just tell the therapist what you’re feeling during the session. In the unlikely event that this occurs, please immediately contact the therapist. Do not wait until a scheduled follow up session. The problem can usually be fixed within minutes of speaking to a qualified therapist. Is it OK to see my psychologist / therapist / doctor / other healer as well as Rose Method? Rose Method is a complementary therapy. You are welcome to continue seeing any other therapist. You should in most cases tell the other therapists that you are also doing Rose Method as they will notice significant changes and they should understand the cause. Emotional and spiritual changes are normally felt instantly. Physical changes are often instant but not always. You should expect pain levels to change instantly but acute conditions may require more time. Even if 3 or 4 sessions are required in total you should expect to feel different from the first session onwards. If you have any concerns about your results or your feelings after the session, please contact your therapist immediately. Please contact your therapist immediately if you need to cancel a session. Most therapists require 24 hours’ notice for a cancellation, otherwise payment in full may be expected. Most practitioners will ask you to specify precise intentions for the session beforehand. This includes specifying the symptoms and how you want to feel after the session. It is important to “pre-define success.” This means, before the session you should explain how you will know whether or not the session has been successful. Changes are often subtle (even very big changes) and that’s why success should be defined beforehand. Some therapists will send you a questionnaire to fill in before the session. You should return this a day before the session. If the therapist sent you a list of your responsibilities before, during and after the session, you should read this and let the practitioner know if you have any concerns. On the day of the session be sure to arrive early at the clinic’s address. If it is a Skype session, be sure that you have a quiet space and time (without children or pets interrupting you). Be sure that you have a reliable internet connection and that you have the practitioner’s Skype address and possibly mobile phone number as backup in case of internet problems. Do I have to talk about my trauma? One of the key benefits of Rose Method is that you don’t need to talk about your trauma. For example if you were abused, humiliated or experienced something embarrassing, you don’t need to tell the therapist any of it. This removes one of the key blocks that prevents people asking for help. You do need to tell the therapist that there was a trauma, e.g. “something bad happened when I was 10 years old.” You don’t need to say what happened or who did things to you. You will be asked to describe how the trauma made you feel, as the session works on changing these emotional states. If you are not comfortable to tell the therapist how you feel, it’s possible for you to just write it down on a piece of paper without telling the therapist. The Rose Method works by guiding the client to the original cause of their problem (e.g. the reason why they attracted it, or inherited it). This means we almost never work on a problem or trauma itself. The thing that you’re afraid to talk about is just a symptom or starting position, not the real issue. That’s why Rose Method is so fast (we don’t waste time talking), so gentle (we don’t make you talk about painful things) and so effective (we heal the cause, not the symptom). What are the client’s responsibilities during the session? We need you to be honest with us. If we ask you about trauma in your life, it’s because we need you to acknowledge it. Sometimes it’s so personal or embarrassing that you don’t want to tell us. That’s OK, there’s a “work around”, but we need you to still acknowledge that there’s something there. If you suppress, deny or hide it we may not be able to help you. Be aware of self-sabotage patterns that could undermine the session. If you feel yourself avoiding the session, or having trouble hearing or understanding the practitioner, or trouble feeling your feelings, you must communicate this to the practitioner. Resolving your trauma is ultimately your responsibility. Though we will do everything in our power to help, the final step will be made by you. The decision to let go is your own – we can’t do it for you. What are the practitioner’s responsibilities during the session? As your practitioner you have our guarantee that we will always act in a polite and professional manner. We will use all our training and experience to get the best possible result for you. We take confidentiality very seriously and we ll never share anything that you tell us. Even the fact that you have been our client is confidential and will not be shared without your permission. Our responsibility is to help you clear your emotional blocks during the session, and this responsibility ends at the end of the session, when we hand responsibility for making empowered changes over to you. For more FAQ on other topics, please refer to the FAQ page. "this is text for a consultation"
"What a great guy! he solved all my issues"
"Hi Hi Hi is the time of day when our sky meets the outer space solar winds. There are blue, pink, and purple swirls, spinning and twisting, like clouds of balloons caught in a blender. The sun moves slowly to hide behind the line of horizon sunset is the time of day when our sky meets the outer space solar winds. There are blue, pink, and purple swirls, spinning and twisting, like clouds of balloons caught in a blender. The sun moves slowly to hide behind the line of horizon,"
"Sunset is the time of day when our sky meets the outer space solar winds. There are blue, pink, and purple swirls, spinning and twisting, like clouds of balloons caught in a blender. The sun moves slowly to hide behind the line of horizon sunset is the time of day when our sky meets the outer space solar winds. There are blue, pink, and purple swirls, spinning and twisting, like clouds of balloons caught in a blender. The sun moves slowly to hide behind the line of horizon,"
"Sunset is the time of day when our sky meets the outer space solar winds. There are blue, pink, and purple swirls, spinning and twisting, like clouds of balloons caught in a blender. The sun moves slowly to hide behind the line of horizon, Sunset is the time of day when our sky meets the outer space solar winds. There are blue, pink, and purple swirls, spinning and twisting, like clouds of balloons caught in a blender. The sun moves slowly to hide behind the line of horizon,"
"For five years I struggled with anxiety and depression. 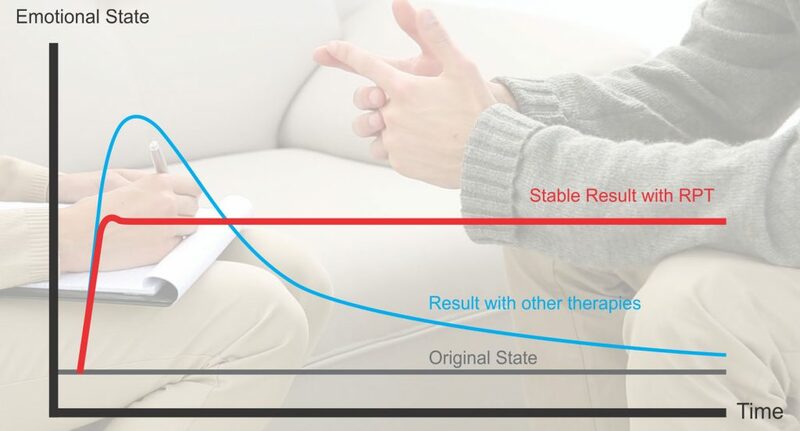 I tried every therapy without success, until RPT. After working Simon, the anxiety and depression vanished, along with a chest pain that I’d had my entire life! it just disappeared (no more anti-acids)! This was the only healing modality to have ever made a permanent impact on me. All I can say is Wow. I’ve never felt so light before. There’s no healing modality that I could recommend more than this. God bless this man and his work."